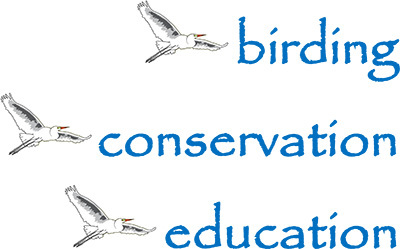 Join the Peace River Audubon Society on Saturday, February 23, 2019 for a field trip to the Sanibel-Captiva Conservation Foundation Native Garden Center, 3333 Sanibel Captiva Rd., Sanibel. Foundation volunteer Ruth Brooks will lead the group on a walk starting at the Shipley Trail head and ending in the nursery grounds. See www.sccf.org to be inspired. To carpool a car caravan will leave at 7:30am from the south end of the Punta Gorda Home Depot parking lot (intersection of Tamiami Trail and Burnt Store Road). For participants who elect to meet on site, the walk will leave from the Shipley Trail kiosk at 8:30am. The trip is free and open to the public, but a toll is charged per vehicle for the causeway to Sanibel Island. If you elect to explore after the event, there are several excellent birding areas nearby. Bring a bag lunch or try one of the many fine restaurants on the island. For further information, contact Mike Krzyzkowski at 863-244-2652.